Home › Pro Wrestling › Is The Yes Movement Dead? Is The Yes Movement Dead? To say that Daniel Bryan had crap luck as WWE Champion would be an understatement. 64 days of personal loss, dismal follow up from the writers and a neck injury culminated on Raw when Triple H and Stephanie McMahon stripped him of the title. Bryan will be back at some point, but will he get a second chance to make a first impression in the main event spot? When it comes to a Babyface, the climb is always more intriguing than the reign on top. Daniel Bryan’s ten month journey climaxed at WrestleMania and his tenure as champion, through no fault of his own, was a nonevent. I’m not sure if WWE should pick up where they left off when Bryan returns from injury. He got a bad deal, there is no denying that. However, most people don’t look at these things through a lens practicality. John Q. Public, the vast majority of the audience, sees and digests only what happens on their television screen and this is what they saw from Bryan as champion. 4/7/14: The night after WrestleMania he was throttled by Evolution and saved by The Shield, which flipped the script and only made the trio more popular. 4/21/14: Daniel Bryan received three Tombstone piledrivers from Kane and was taken out on a stretcher. 4/28/14: Daniel Bryan received a chokeslam from Kane, which did no favors for his injured neck, and was licking his wounds in the trainer’s room. 5/5/14: Daniel Bryan and Brie Bella looked like scared teenagers as Kane got his Jason Voorhees on and chased them out of the building. 5/12/14: Kane dragged a bruised, beaten, and unconscious Daniel Bryan out by his arm. EMT’s loaded him on a stretcher, placed him into an ambulance and off to the hospital he went. The psychology behind wrestling booking is a subliminal message to the audience. If you book your champion to look like a punching bag, people will lose interest very quickly. Imagine if they booked Stone Cold Steve Austin this way in the beginning of his initial title run? The protagonist needs to take some bumps and bruises along the way, but ultimately rule the day. Daniel Bryan appeared to be a guy who couldn’t hold his own and lost 99 times out of 100. Kane isn’t the most compelling character either, so that makes Bryan’s situation that much worse. In the ring, wrestlers are taught to never do the same move immediately after botching it the first time and to perform a different maneuver. Delivering a vertical suplex after you’ve just messed it up screams “wrestling is fake” and takes the audience out of the escape. Putting the belt back on Daniel Bryan would be the same thing and would tell the fans that nothing they watched during his absence mattered. Roman Reigns, Dean Ambrose and Seth Rollins are the cat’s meow, a new champion is going to emerge at Money in the Bank, Bray Wyatt is an entertaining element in any circumstance, and Brock Lesnar’s return is imminent. Things are going to heat up while Daniel Bryan cools down. 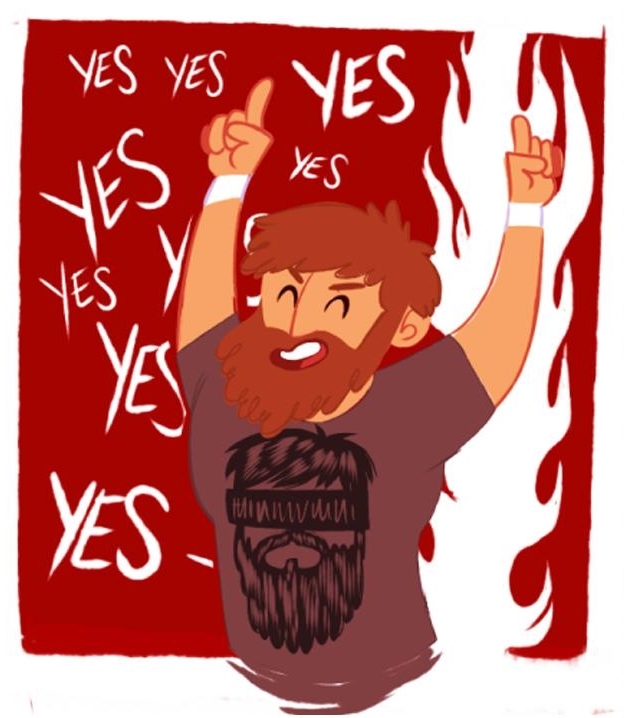 Daniel Bryan will be WWE champion again. However, it won’t get over the same way as it did before. His portrayal the first time around will be a constant reminder of what he brings to the table as champion. He deserves a redo, without question, but absence won’t make the heart grow fonder. Without something new to add to the mix or a really great creative direction, the “Yes Movement” is officially dead. I REALLY believe that WWE hates Daniel Bryan. Agreed. If Roman Reigns wins Money in the Bank, Bryan isn’t seeing that belt anytime soon.